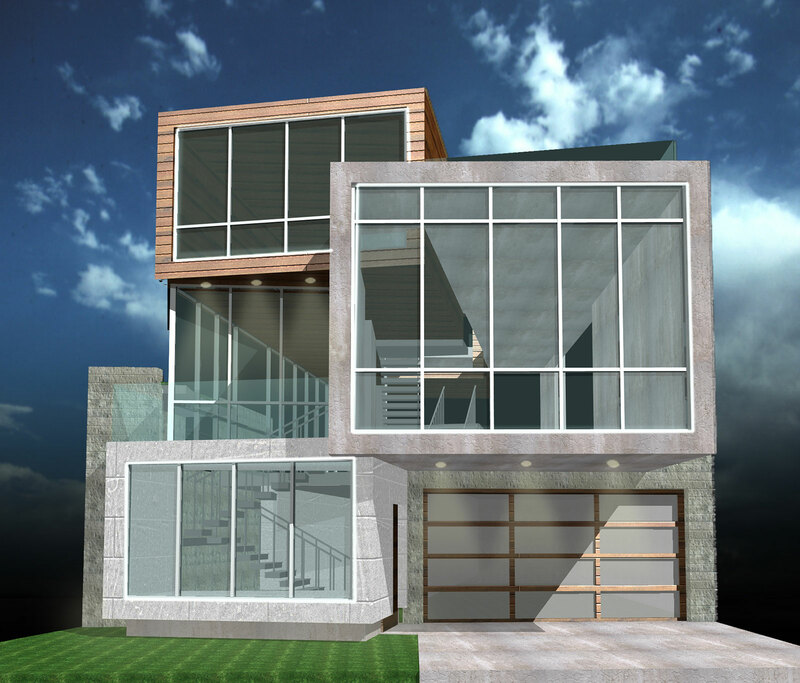 The Ardmore Residence, a Custom Modern Prefab Home that takes advantage of Code Restrictions to retain portions of an existing structure. 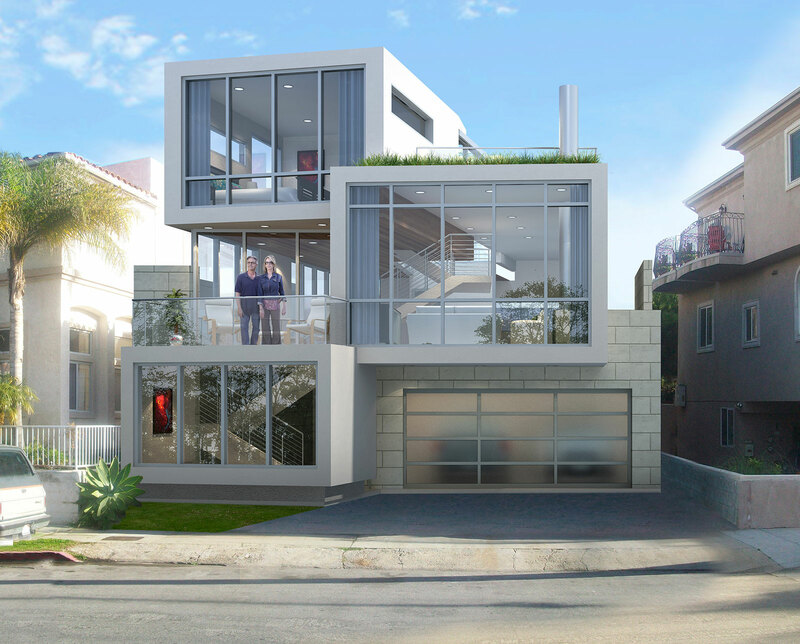 The EcoSteel System creates a huge value in this 2,300 square foot house located in Hermosa Beach, CA. The project was designed by EcoSteel's own Paolo Volpis. The project is quite unique, in fact, the existing building, which is to remain, is a CMU block construction previously used as manufacturing facility. After a Zone change from M to R2, the new residential building was designed to infill the existing shell, which is built on the property lines. In this way, the design could maximize the square footage of the new residence and take full advantage of a site located in a prime area but otherwise too small for a single family dwelling. 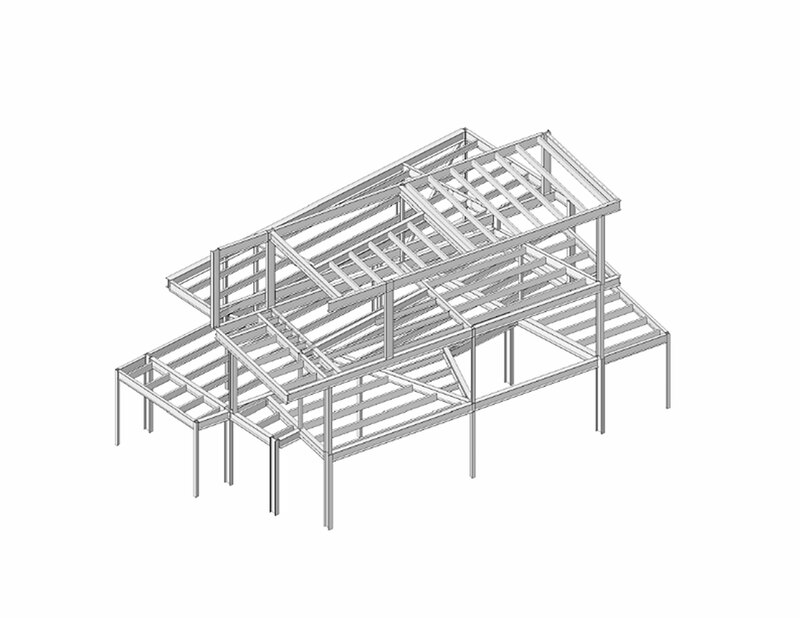 The new steel construction is meant to retrofit and support the existing building and support the new 3 stories structure. The new shell is designed around the setback lines and portions of the existing perimeter will be preserved above the first floor to create handrails or supports for green walls facing the interior spaces. The design takes full advantage of the existing site conditions, to maximize living space and create privacy screens otherwise not allowed to be built in these locations.